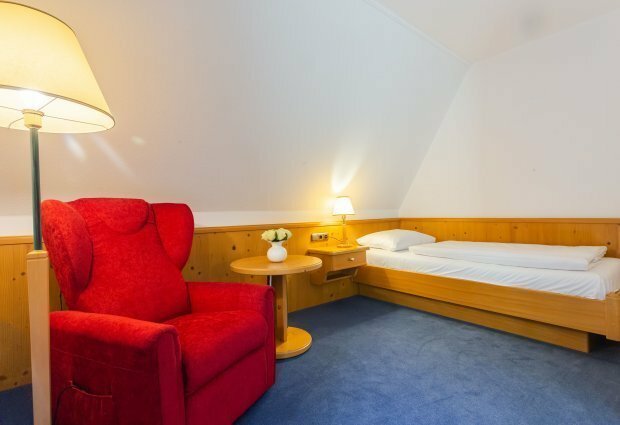 A cozy quiet room with two single beds. 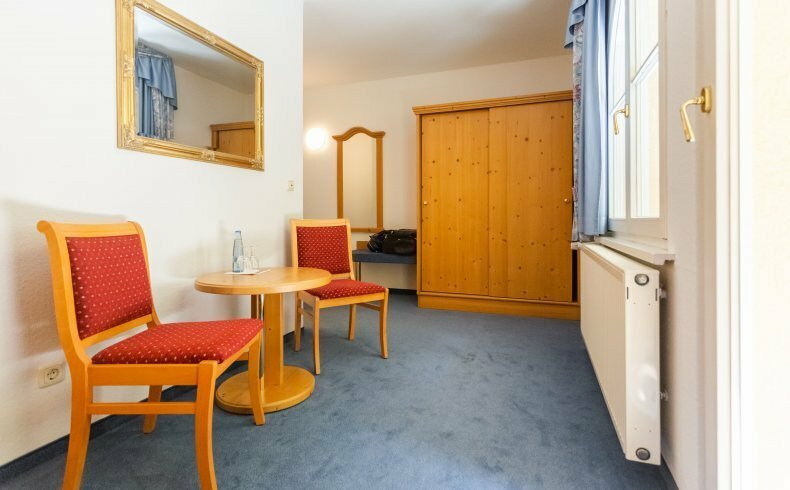 Accomodation for children up to 3 years sharing the bed of the parents are free of charge. 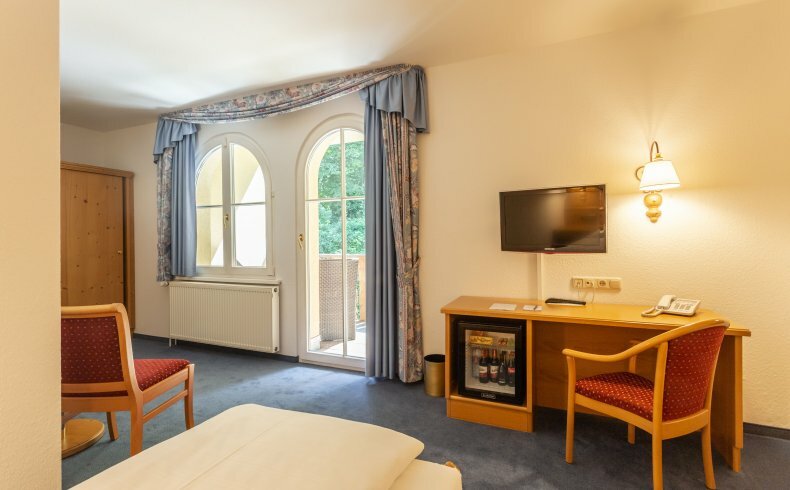 For children aged 4 to 12 years we charge 19 € / night. Children from 13 years and older are charged as adults. 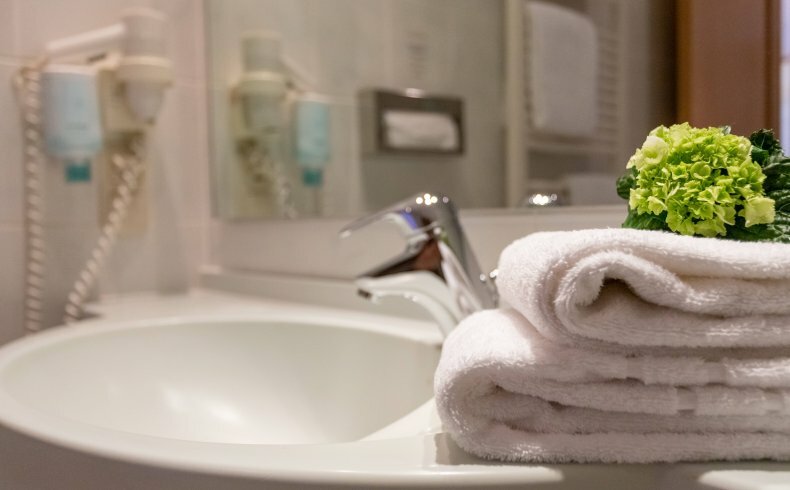 Our single rooms are especially recommended for business travelers. 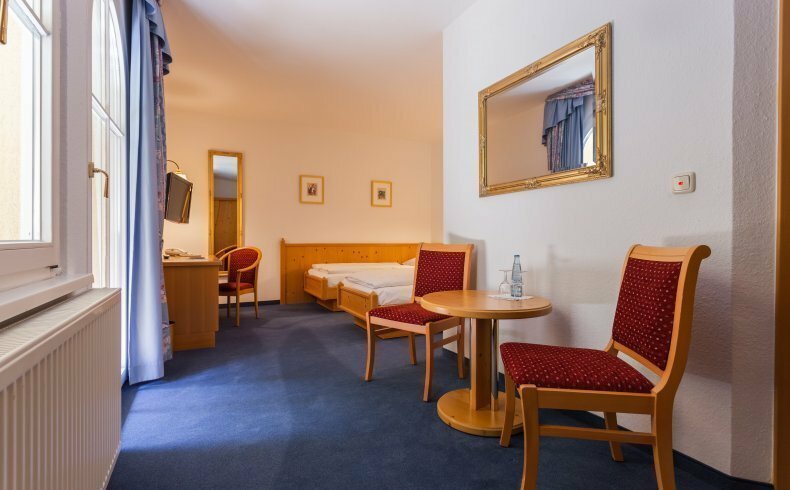 A desk and free Wi-Fi are provided in each room. 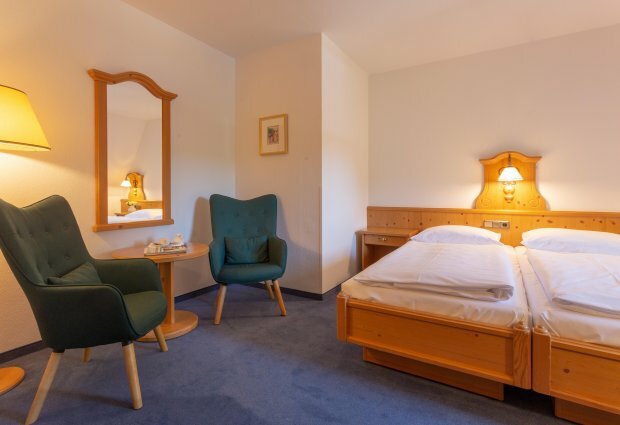 In our double rooms you can enjoy togetherness or relax as a solo traveler. 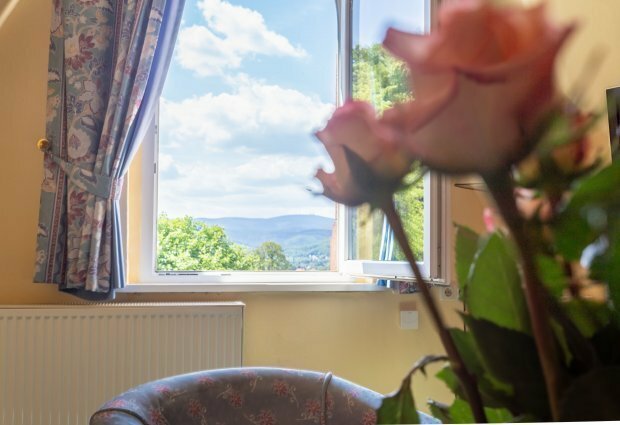 These double rooms are equipped with balcony and offer views of nature. 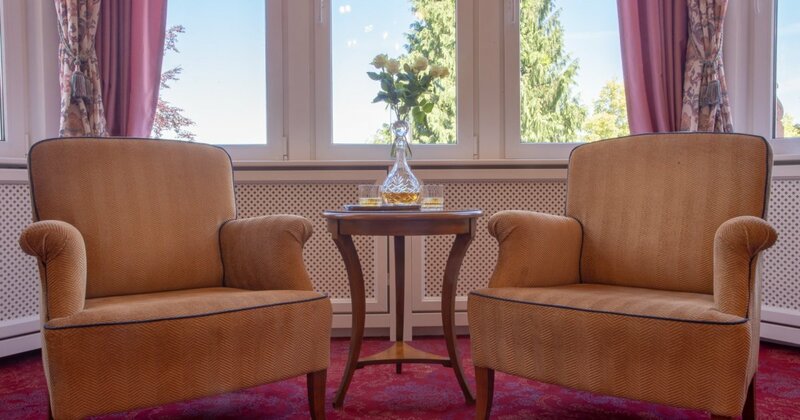 Our superior rooms are located in the historic old building of the villa and impress not only by its pleasant size and 3.5 m high ceilings, but also with the fantastic view of the Brocken and the Wernigerode old town. 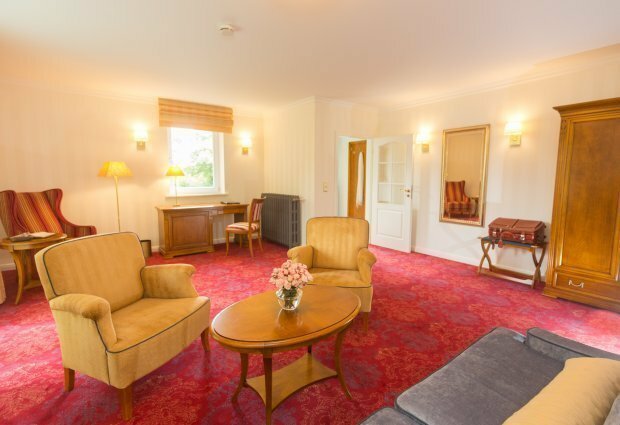 Our Junior Suites in the historic old building of the villa are larger and more spacious than double rooms. 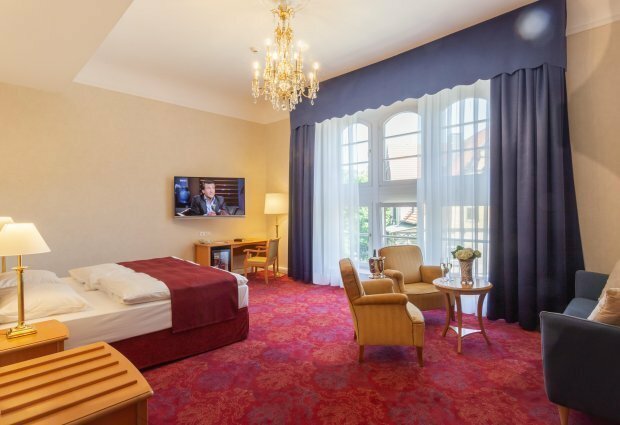 These newly renovated rooms with high ceilings can also be used as family rooms. 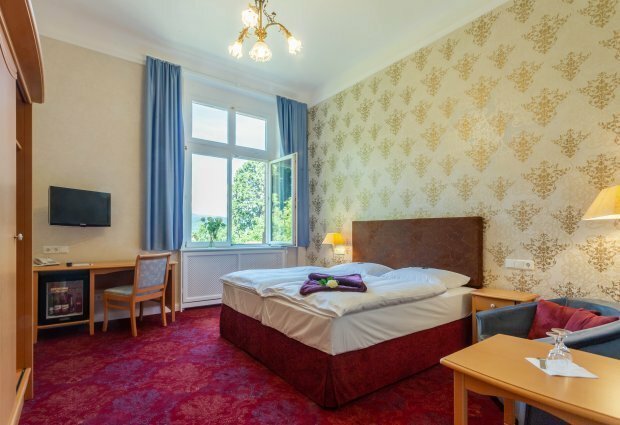 A cozy suite with separate sleeping and living areas, 2 bathrooms, fantastic views of the Brocken and the town of Wernigerode. These spacious suites with private entrance in a separate suite house have a large living area, one separate bedroom and private terrace. 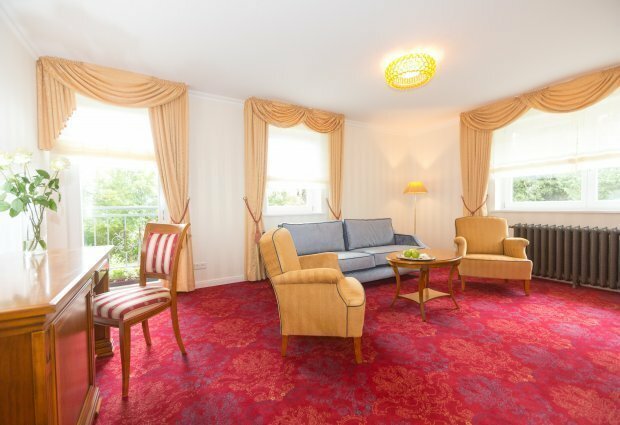 These spacious suites with private entrance in a separate suite house have a large living area, two separate bedrooms and private terrace.